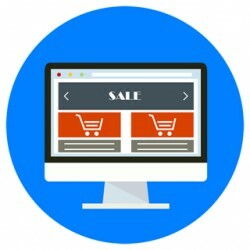 Website Reviews: How to get real results from your website and save money in the process. The information below is real data from Google Analytics. Recently we were asked by the Marketing Manager of a local business to have a look at their website to see what we could suggest to help improve enquiries and sales. Once we had completed the website review with them, they were shocked at what they discovered; it helped them to save £500 per month on SEO, plus over £10,000 redesigning their site, and also formed the basis of a plan to get the website working properly for their business. This story illustrates why it is so important to understand what is happening with your site because, if you don't, it costs you money – in both out-of-pocket expenses and in missed sales. Can you afford this? The company in question were paying both a web design company (to make a good website) and an SEO company (to get relevant visitors to the site) each month but were getting little results and couldn't understand why. They were also concerned that the website was not mobile friendly and planned to spend their next lot of money on doing this work. We asked to view their Google Analytics so that we could see what was going on under the bonnet, which initially is probably more important than looking at the website itself. Without Google Analytics, it's like trying to mend a car without being able to see the engine. Once we had access, we could see that the company had 518 unique visitors their site over the previous 30 days. As you can see from the screenshot below, we also noticed that the bounce rate was excessively high at 96.1%. This means that 96.1% of people were coming onto the website and then leaving on the same page after spending just 11 seconds on the site. As you can imagine, this rings alarm bells - suggesting that people aren't finding what they want on the site. As you can see, of the 517 new visitors, 408 were from Russia. This was very alarming as the company operated locally and nationally throughout the UK only. You will also see that only 17 visitors had originated from the UK in that period. The bounce rate had come down slightly to 72.22%, but this is still very high - although they were staying on the site a little longer at 27 seconds. Overall, things were looking bad. The next step was to try to understand more about the few UK visitors that we did have. We looked to see what devices they were using and, as you can see from the table below, only 2 people from the UK were using mobile devices. This told us that spending money on making a mobile site shouldn't be a top priority for this company. 3) The company shouldn't spend their money on a mobile website right now as they had other higher priority problems to sort first. We helped the company by firstly understanding their current problems, helped them to get a plan together to target new profitable customers, drive them to the website and then to have a more highly focused website. 1) Do you know and understand what is happening on your website and, if not, would you like to know? 2) If you do know your stats, would you like to take this further and have a plan to improve them? 3) Are you working with a company that really knows what they are doing, and not just taking money from you? 4) Do you want to stop wasting time and money on things that don't work?